To access these settings, go to "Edit promotions" from the Home page, then click the "Edit" button for the promotion you want to edit. In the "Edit promotion" screen, open the tab "Discount rule". By default promotions are available to prospects (not logged in to your store) and customers (logged in, have an account). 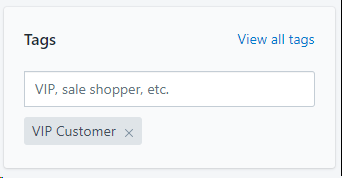 To restrict your promotion to customers, select "Only logged in customers", optionally select to include or exclude customers with a specific tag. Select "All visitors excluding logged in customers" to restrict your promotion to prospects, i.e. visitors who are not logged in to your store.